There is no gold standard treatment currently available for melasma, however, there is a revolutionary gold standard laser technology clinically proven to be effective for melasma and it’s called PicoSure. Dr.Avaliani is excited to be the one of select physicians in New York City to be able to provide this treatment to her patients. Melasma is a poorly understood skin condition and is far more common in women, especially those of reproductive age. It is often very mild and unnoticeable, but gets exacerbated during the period of hormonal changes like pregnancy or perimenopause. Commonly affected skin areas are forehead, nose, chin, and upper lip, cheeks and jaw line. Rarely, it can also affect the décolletage area and the back of the arms. It is more common in darker skin types and is generally more pronounced during the summer months due to increased sun exposure. Unfortunately the exact causes of melasma remains poorly understood, but the discoloration is believed to be due to an increase in the pigment producing cells when exposed to certain triggers. Common known triggers are hormones, hereditary predisposition, excessive sun exposure, birth control pills, and certain medications. Melasma is a very harmless skin condition but it causes a great deal of cosmetic concern to individuals who suffer from it. It definitely affects self esteem and confidence and leads to somewhat diminished quality of life. It is important to make sure that the appropriate work up was performed to rule out any other potential causes that resemble it. Most commonly after your skin discoloration is determined to be melasma, the standard approach is to give it some time and it will resolve on it’s own. If you feel like its been too long and you waited enough time, this might be the right time to familiarize yourself with various treatment options available. There is no gold standard treatment that fits all. Each patient is evaluated individually and the treatment options depend on the size, location and the type of melasma. The revolutionary technology of PicoSure laser is unique that it uses energy to generate power as opposed to strong heat. The increased pico power of this laser allows to target the pigment in melasma while preserving the surrounding healthy skin. Since no heat is used, it makes it safe for all skin types. It also results in virtually no social downtime compared to standard used lasers and patients can apply makeup immediately after. What other lasers can treat melasma? 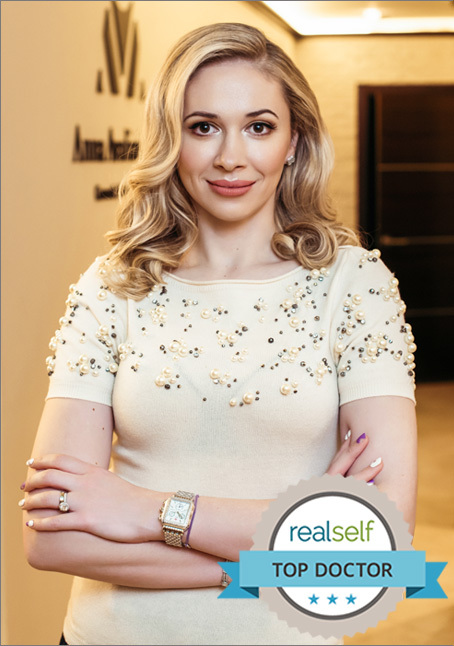 Dr.Avaliani also uses Icon® Fractional Laser technology to treat melasma for people with skin types I-III only. The Icon uses high heat technology to cause extreme skin exfoliation to remove pigmentation associated with melasma. It’s a slightly invasive laser procedure which can only be performed by a physician and is associated with 5-7 days of social downtime. PicoSure laser technology is unique, carries no downtime and is slowly replacing all other lasers on the market. It has already replaced IPL lasers , Q-switched YAG lasers and some fractional lasers for the treatment of wrinkles, acne scars, brown spots, surgical scars and stretch marks. What can Dr. Avaliani offer?